Icebox cookies, also known as refrigerator cookies, are slice-and-bake cookies. The dough is formed into a log, chilled in the refrigerator (also known as an icebox), and then sliced into rounds before baking. 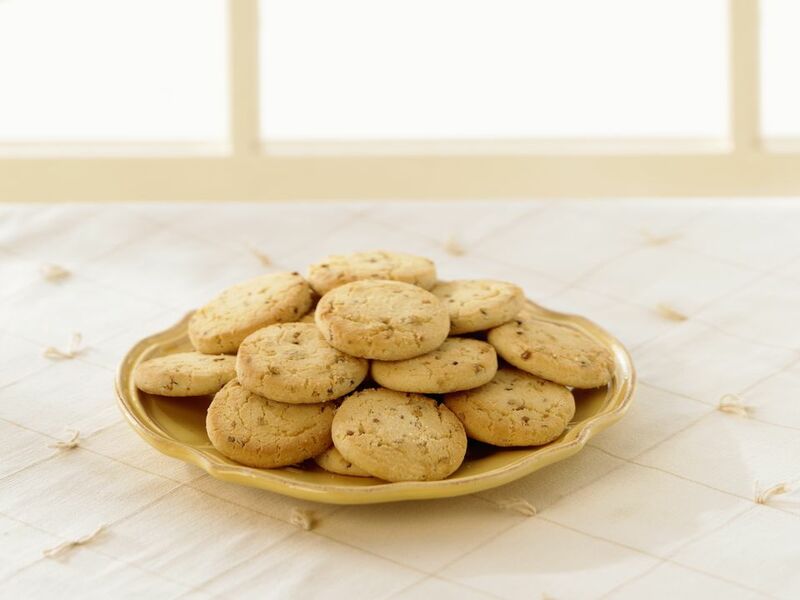 Orange Icebox Cookies: These are especially good during the winter months, when citrus is in peak season. Coconut Icebox Cookies: Make with flaked coconut for a tropical flavor. Peanut Butter Cookies: Peanut Butter Cookie dough bakes so much better after its been refrigerated. The dough will be less likely to spread while baking. Personally, I prefer to refrigerate almost all my cookie dough prior to baking. It doesn’t have to be for a long time, just long enough to chill the dough. Once the dough becomes room temperature, there is a better chance of it spreading on the cookie sheet while baking. Cookies that are allowed to spread while baking lose their round shape and may overcook. Any cookie dough that can be refrigerated can also be frozen. Frozen cookie dough will keep its original flavor for about 3 months. Try to get in the habit of setting aside some of each batch of cookie dough you make in the freezer. You’ll be able to pull out just what you need, when you just have to have a freshly baked homemade cookie. You could end up with several types of cookies. To freeze them, divide the dough as directed in the recipe. Shape it into logs. Wrap each log and put them in a resealable plastic bag. They will keep their flavor longer if kept in rolls, but the ultimate way to store them would be by the slice. It’s easier to pull out just the slices you wish to bake.